I am a sucker for anything cute and anything vintage. I don’t even try to deny my love for both and that is why I am absolutely smitten with these darling patterns from Satsuma Street. Jody Rice’s cross stitch has been featured in Better Homes and Gardens. Jody’s work reminds me of one of my favorite Disney artist, Mary Blair…which makes it no surprise that she has also been featured on Disney’s Baby Blog. 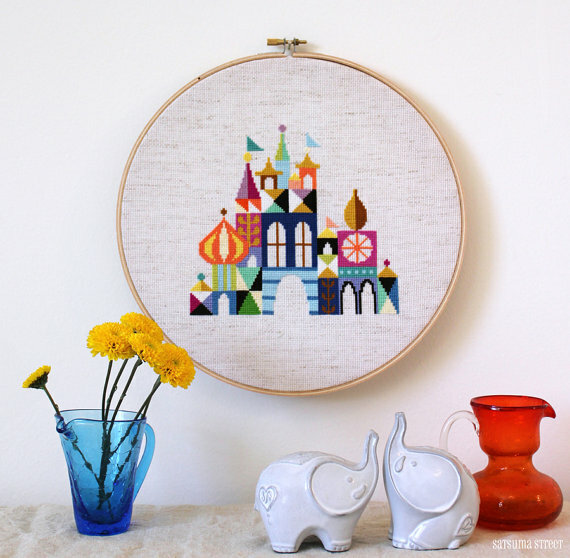 Check out her store and stitching today, it will bring a smile to your face. Wow! That would almost convince me to take up x-stitch again! Gorgeous!